APRIL 1, 1915, had shone brightly and started out with promise. The 1st Australian Division had been engaging in a divisional field day near their camp at Mena, Egypt, and had been at their best during their drills to attack a high ridge they knew well. The 4th Light Horse Regiment, which Bridges had sent to seize it, reached it before the "enemy"; the 2nd Infantry Brigade, behind the Light Horse, managed to get on top of the hill and advance smoothly along it. Official war historian Charles Bean said the well-executed hillside action had drawn from a British officer the comment: "Could not have been better." The fight was over early on that sunny Thursday; everyone was feeling pleased with themselves. Two brigadiers had tea at divisional headquarters and asked for leave until Sunday, while many officers and others were given permission to visit the grand attractions of Luxor over the weekend. In one battalion, the officers were giving an evening picnic on a Nile boat about 15 miles up the river. "All this was taken as a sign that nothing was imminent," Bean wrote. That evening the Anzac commanders received the order to move to the front. All leave was cancelled, the happy picnickers returned to find their colonel at the wharf, and the divisional staff worked long into the evening making plans for logistics and embarkation. Up until this point, troops had only been guessing where they might be deployed in the near future. While many had wanted to go to the Western Front, there had been plenty of rumours about the Dardanelles and that the 3rd Infantry Brigade had gone to Lemnos for advance preparation, but it was all speculation at that level. Within two days, the men were adding their spare kit bags to an enormous series of bonfires and incinerators; they didn't need them on the front and they didn't want to leave a mess behind in their abandoned camp. "The incinerators ... were smoking heavily all this day behind the lines of each battalion,"Bean wrote. "That night anyone looking down on Mena Camp from the sand-ridge behind it would have imagined it to be a manufacturing city." 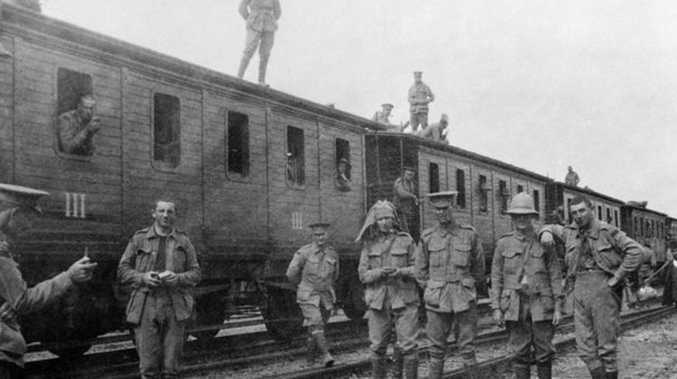 By April 4, much of the 1st Division had left Cairo, having quietly boarded trains during the night. Within four days Mena Camp, that desert training ground in the shadows of the Pyramids, was gone forever. 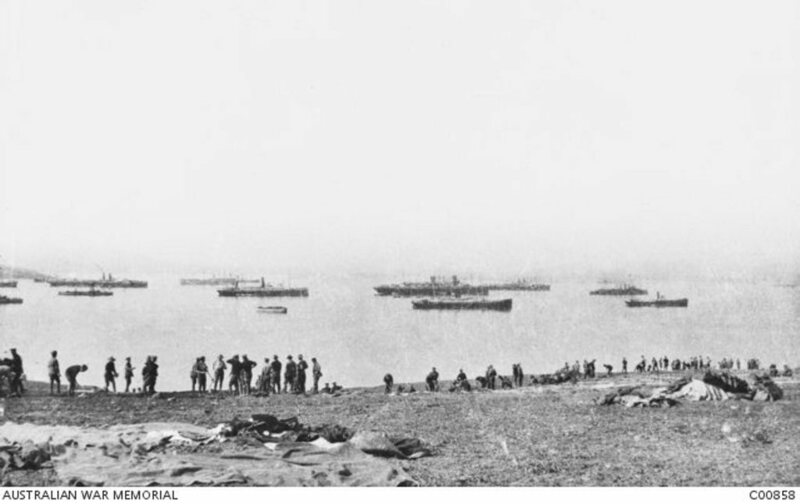 The bulk of the 1st Australian Division AIF was one its way to Alexandria, from where its soldiers would sail towards their first campaign of war. MEANWHILE, on Lemnos Island, where the 3rd Australian Brigade had been stationed for the past few weeks as an advance party, conditions were far from ideal. The 3rd Brigade - which included the Queensland 9th Battalion - hadn't long been on Lemnos, 100km away from the Gallipoli Peninsula, when the Australian Engineers discovered there was water only for a few thousand men in Mudros, near where they were to be camped. Almost the whole force would have to stay in the transport ships until it sailed to Gallipoli, with the exception of the 9th and 10th battalions, who were terribly cramped in one boat. These men were allowed to camp onshore. Moreover, as official war historian Charles Bean noted, because no proper landing plan had been conceived by the time the Australian, British and French troops started to make their way for Lemnos, the transports had not been loaded in a way that would have helped them disembark and land efficiently. "If a landing is to be well organised, the officers loading the ships ought to know beforehand which troops will land, at which place, and in what order," Bean wrote. "But ... no special instructions were given or could have been given. "Material which should have been on top of the holds was at the bottom; the gear belonging to troops who would land on one beach was in a ship carrying troops to another beach. The ships would have to be re-stowed." Once ashore on Lemnos they started training. Anzac commander General William Birdwood had instructed 3rd Brigade commander Colonel Ewen Sinclair-MacLagan to get his troops practising for landings and re-embarkings - a "secret hint" was the training grounds chosen should resemble those at the toe of the Gallipoli Peninsula.